Creating the perfect home requires a very thought out design process. 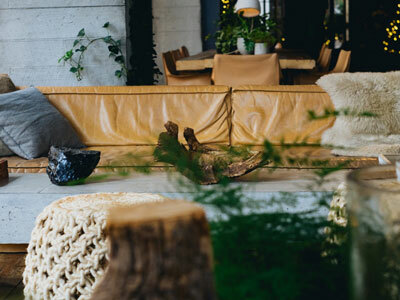 Erin and Ben Napier, hosts of HGTV’s Home Town and authors of MAKE SOMETHING GOOD TODAY, explain how they go about their stylistic decisions when it comes to invitations or homes they’re working on. Each project had a different tone and energy, but the process remained the same. Whether invitations or homes, a version of this same process follows. #1: The fonts. What fonts describe the very best version of this couple? What fonts express the mood of the event? The playfulness or elegance? The never ever ever Zapfino-ness? #2: The ornamentation. Antique florals? Spanish tile motifs? A tiny engraving of a horse from the nineteenth century? What would make the perfect visual to describe the event? How much ornamentation would be too much or not enough? Or would letting the invitation breathe without any ornamentation make the truest, purest statement? #3: The materials. Fabric or paper? Vellum or kraft? Extravagant or lowkey? The material the invitation is made from communicates a cue for the guest to understand the formality or casualness of the event. #4: The colors. Deep navy cover stock with gold foil print or airy bright white watercolor paper with barely there dove gray letterpress ink? What would make the appropriate statement for these people, for this day? #5: The alchemy of it all. I would search for the common thread in these three things: the couple’s love story, the things that matter to them about the wedding day, and the location of the event. Succeeding in finding that common thread and creating a visual package based upon it was a type of magic. And the couple could feel it right away. For more design tips, pick up a copy of MAKE SOMETHING GOOD TODAY by Ben & Erin Napier! 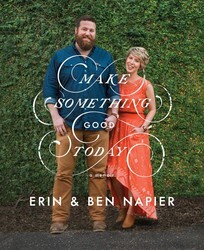 Excerpted from Make Something Good Today by Ben & Erin Napier. Copyright © 2018 by author. Used by permission of the publisher. All rights reserved.